This meal goes great with a crisp green salad. Makes 4 servings. 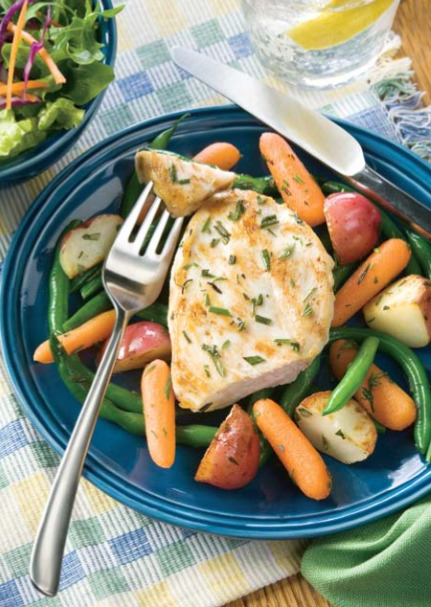 ½ chicken breast and 1 cup vegetables per serving. Do not give honey to children under the age of one.